Cleaning grout ranks as one of my least favorite chores ever. Scrubbing in between the cracks of the kitchen floor or backsplashes and then having to do the same thing in the bathroom is not only a drag, it's hard on the back and the knees! And yet the idea of walking barefoot on nasty tile or staring at a goopy backsplash is far less appealing. If you want to get your grout really clean without collapsing from inhaling tons of chemicals, check out a few of these handy tips. Pour 1/2 cup of baking soda and then 1/4 cup of hydrogen peroxide into a squeezetop bottle. Add 1 teaspoon of liquid dish soap, then put the lid on the bottle. Shake it up to mix everything. Then use your squeeze bottle to apply the mixture exactly where you need it. Allow the soap/vinegar/baking soda mixture to set in the dirty grout for about five minutes before rinsing it away Bob Vila recommends. Regular cleaning of grouted floors is essential. One step you can take that doesn't require the use of any chemicals is to vacuum tiled/grouted floors once before you mop it once a week. 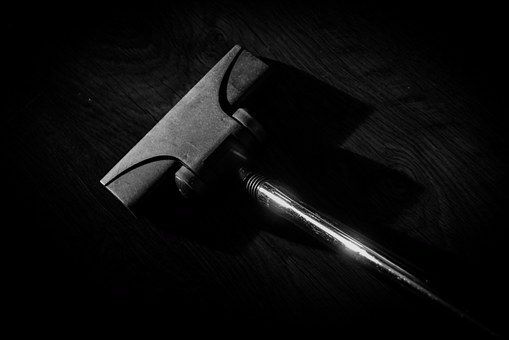 The suction of your vacuum will pull up excess dirt you may not be able to get with your broom. Make a tough-on-stains solution with 1/2 cup of baking soda, 2 tablespoons of washing soda, 2 tablespoons of borax and 2 tablespoons of liquid Castile soap (or use a liquid dish or laundry detergent). Before you apply your mixture, wipe down your surface with white vinegar. Apply your cleaning concoction and scrub, scrub, scrub. Use this same mixture inside tubs. After wiping the inside of the tub (and surrounding walls) with vinegar, add the baking soda mixture and allow it to set for about 15 minutes before scrubbing with a brush and rinsing away all of the debris, according to Wellness Mama. 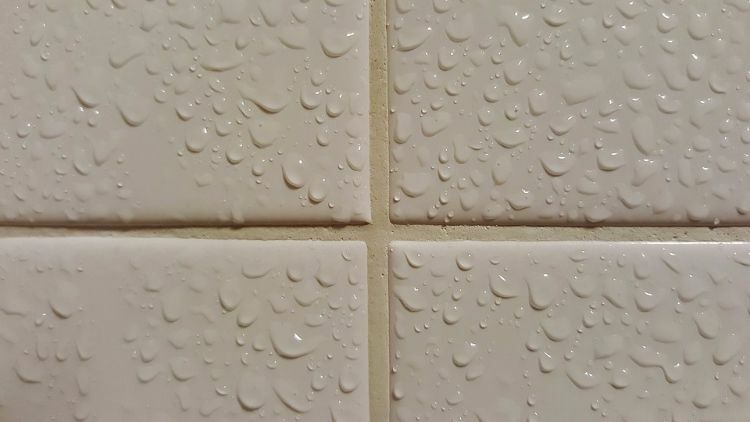 Banish mold in the grout in your kitchen or bathroom with a mixture of 1 part water and 1 part hydrogen peroxide. Spray the mixture liberally on the mold and let it set for an hour. Wipe the moldy area and rinse. 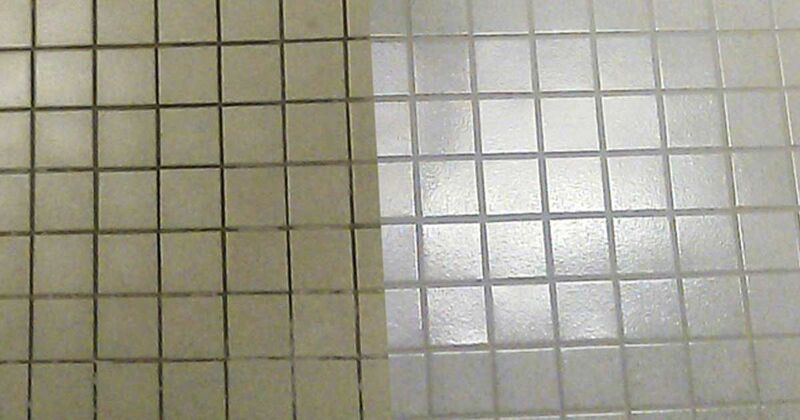 This is a fairly extreme solution, but if you get to a place where the grout's not salvageable, a simple solution would be to regrout the entire area. It's cheaper than re-tiling, and your space will look brand new, according to Ask Max. Why not try cleaning your kitchen grout (or bathroom grout, for that matter) with items you already know are safe enough to eat, like baking soda, lemon juice and white vinegar. DIY Natural recommends mopping your floor with 1 part water and 3 parts vinegar to remove surface dirt. 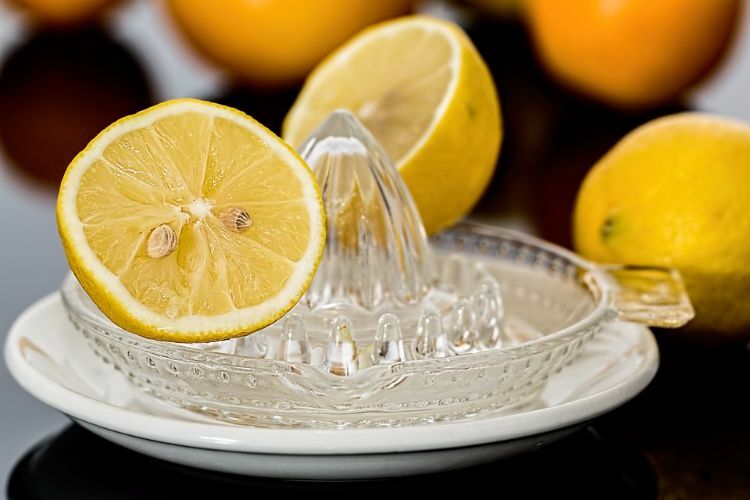 In a bowl, combine lemon juice and baking soda until you get a thick paste. Spread the lemon juice/baking soda paste all over the grout lines. Grab a toothbrush and start scrubbing. Once you've gotten all of the grout lines, run your mop and water/vinegar solution over the surface again to remove the lemon juice. Save your arms a little exercise by combining equal parts water and vinegar in a spray bottle. Spritz the shower walls with the mixture, then let it set until it's completely dry. Rinse away.